Dignity:Liberia is proud to recognize The Liberia Fistula Project as its primary partner in Liberia. In 2003, the United Nations Population Fund (UNFPA) established a collaborative, Global Campaign to End Fistula, recognizing the disproportionate impact of obstetric fistula among women in remote and impoverished areas of the world. In Liberia, their efforts have been crucial in beginning to address the fistula epidemic, including acting as the original sponsor of The Liberia Fistula Project. Leaders working with The Liberia Fistula Project in Liberia provide critical information and perspective that guides our efforts to address real-life needs throughout the country. Our relationships with program managers, involved physicians, and government agencies enables us to better understand the help, resources, and strategic directions that can be most supportive and enduring as we work together for both short-term relieve and long-term success. 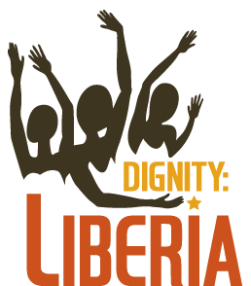 Dignity:Liberia is proud to work with a number of organizations. Here are some the key connections that are important to our work. The UNFPA is the primary sponsor for the Liberia Fistula Project, our primary partner in Liberia. A collection of villages in Bomi County, Liberia, where we work with Ministry of Health to administer immunizations, eye glass clinics, malaria prevention, and help rebuild local schools.